702-385-2226 | Make Restaurant Reservations | Order Now! 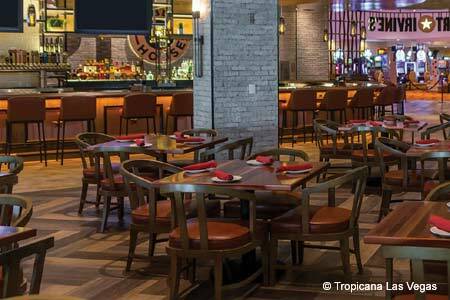 This Sammy Hagar cantina located at the entrance of the Miracle Mile Shops at Planet Hollywood offers Tex-Mex cuisine in a party atmosphere. : Open for breakfast, lunch, dinner and late-night dining, Cabo Wabo Cantina offers a menu that includes an array of appetizers, salads, sandwiches and burgers. Tex-Mex options of tacos, enchiladas, burritos and fajitas; and specialties such as cilantro-jalapeño chicken, tequila shrimp, and Jack and Coke barbecued ribs are also available. The beverage list includes two dozen beers; eight signature margaritas; and more than 30 tequilas, including Cabo Wabo’s own brand of blanco, reposado and añejo. 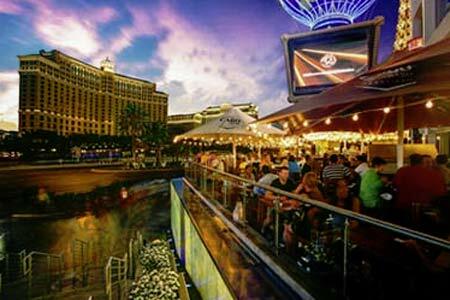 Live bands play Tuesday through Thursday from 7 p.m. on the Vegas Strip-side patio, which affords views of the Bellagio Fountain and the Eiffel Tower.